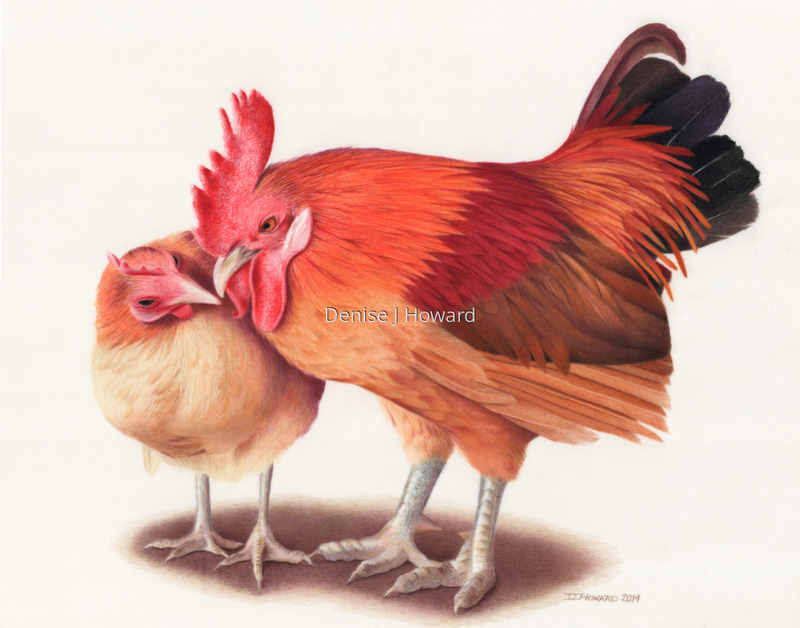 I was amused by the devotion this hen and rooster seemed to have for each other, standing so close together their bodies touched, and communicating without a sound. Unlike my usual style, I chose to omit the background. Colored pencil on Duralar drafting film. 5" x 6.25"10" x 12.75"15" x 19"